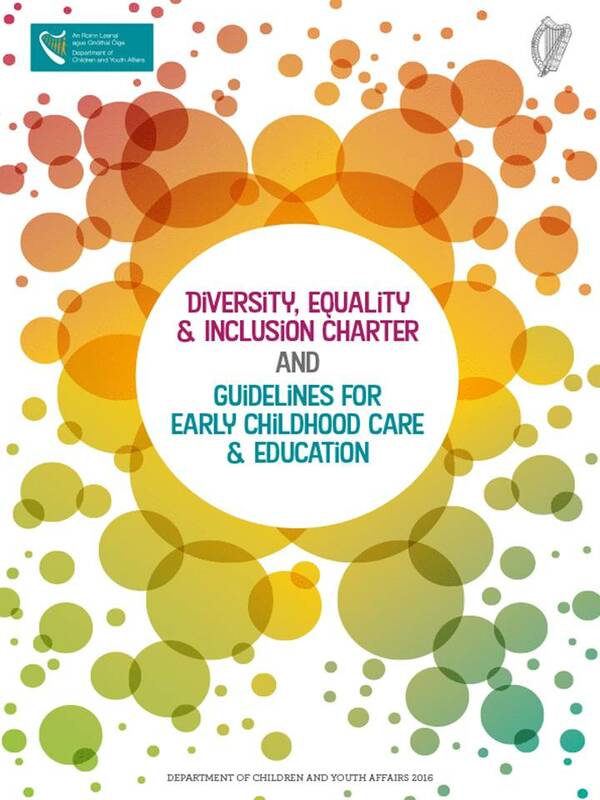 Click on the image below to read the newly published Equality, Diversity and Inclusion Charter and Guidelines. Free training has been organised by the Wicklow County Childcare Committee. Special mention to our Development Officer Assumpta O’Neill who contributed to the development of the charter and guidelines.